Ah, milking cows. Wonderful beasts. Giving you fresh milk daily. Ours has been giving us so much fresh milk daily (averaging ten litres) that we've had to stop milking her twice daily and just drop back to a morning milk. Six litres a day is plenty for us, the pigs and our cheesemaking endeavours thank-you, Missy-Moo. Our kitchen has begun to feel like a home dairy. We've been making endless cheese - Romano, Pepato, Plain & Cumin Fetta, Whole Milk Ricotta and Halloumi. The Halloumi is pictured above, the first photo is of the cheese fresh from the pot and busy drying. The second is of two slices cooking in the frying pan. I like the process of Halloumi making - the usual steps are taken but then the curds are wrapped in cheesecloth and lightly pressed while the whey is heated to 90 degrees. Then the pressed curds are chopped into blocks and dropped into the hot whey and left to cook until they rise to the surface. The cheese is then cooled, salted and placed in a brine, ready for eating the next day. Because most cheeses require some of the cream to be removed from the milk, we've also been keeping ourselves in pouring cream and I've even made a butter ball or two, which we've used not only on bread but in baking also. This delicious Ricotta and Passionfruit Tart featured our own butter in the pastry, and milk, ricotta and home-grown passionfruit in the filling. It was very tasty and made from a need of having to use up some of our milk and fruit. The passionfruits are taking over the kitchen bench at the moment. The recipe is based on one I found at the library, The Dairy. I say based simply because I had to swap some ingredients - we don't use custard powder, evaporated milk or icing sugar. 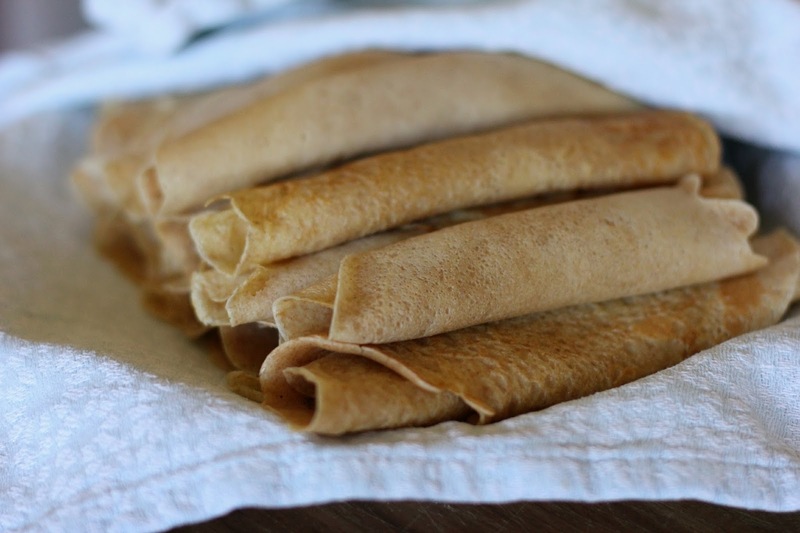 These spelt crepes were also based on a recipe from the above book. I cooked them during the day and they were stuffed that night with ricotta and spinach (from our garden) and baked topped with a bechamel sauce, paprika and bread crumbs. The were an excellent way of using our produce and were absolutely delicious! Other happenings in my kitchen include the sad death of my sourdough starter. I'm afraid I killed it from starvation. I took it from the fridge to feed it and bake with it as per usual, but due to the then chaotic state of the house I forgot all about it. I tried to rescue it but but it was well and truly dead. We've been sourdoughless for almost a month. I'm going to make a new starter today though as I absolutely love not only eating but baking sourdough and I've been missing it. On a more cheerful note, lots of garden produce has also been coming into my kitchen. Lettuce, beetroot and spinach have been the main items, along with some celery and parsley. The garden is really starting to take off and soon I hope to be enjoying home grown kale again too. What's been happening in your kitchen lately? Make sure you pop over to Celia's and have a peek into everyone else's kitchen too. Wow this sounds like a wonderful life. I like the sound of baking with your own butter and cheese. Sarah, your "Missy-Moo" is definitely the cream of the crop with all of the milk she's providing for your cheese making. Cows are cool. 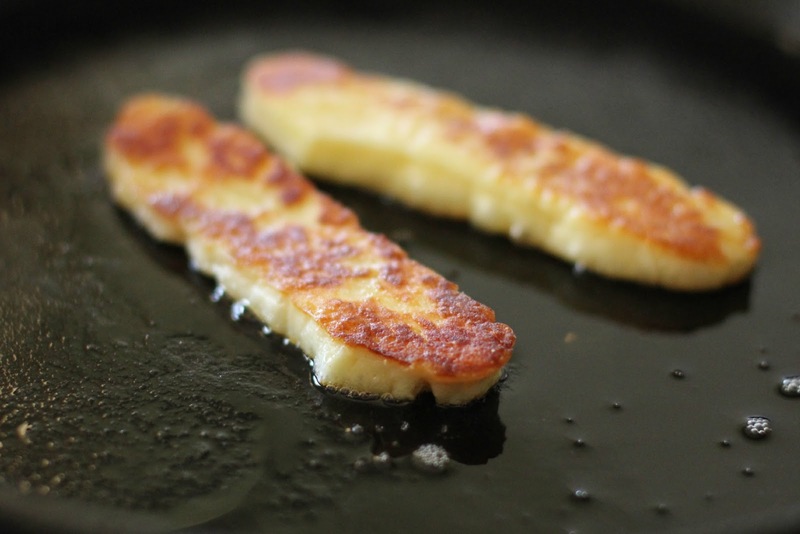 Your crepes sound swoon-worthy, and I loved your Halloumi photos! Magic things happening in your kitchen ..I would love to make these cheeses. I bet they taste divine. Halloumi is a favourite! My boys have become used to my Sunday breadmaking that there would now be mutiny in my kitchen without it - hope you get a new starter up and running! Amazing dairy products, seriously impressive. There is no comparison to homemade bread! I can't wait for my sourdough starter to be ready to use again. I have never had friend Halloumi to date. It has been on my list to do! 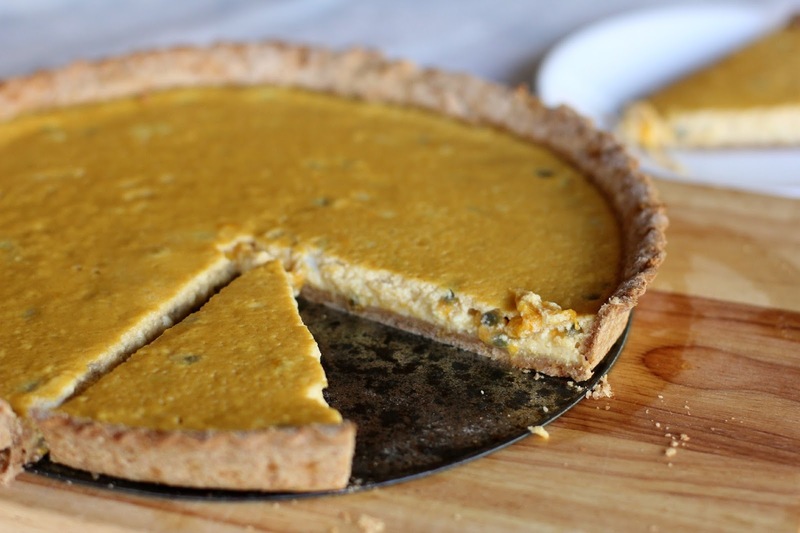 Your tart looks delicious and thank you also for this month's IMK view! What an interesting post, I enjoyed reading about the lovely things going on in your kitchen. 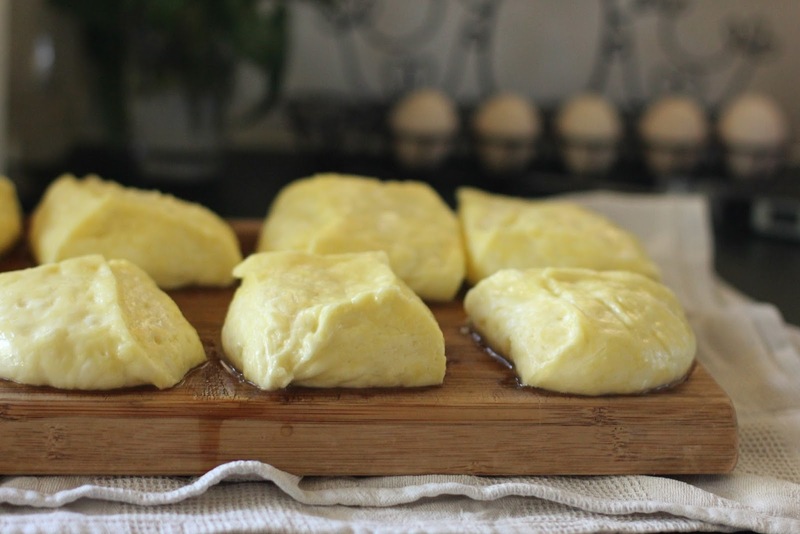 Amazing dairy products that you are making yourself! Inspirational. What a yummy post. Milking cows, home made cheeses- I am green with envy. what glorious photos! Love the crepes especially, so yum. Such a good month for IMK!